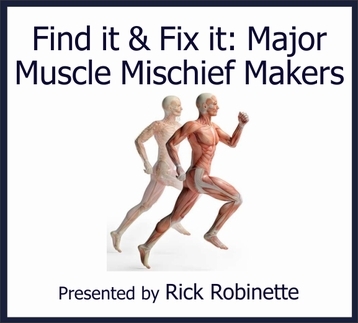 Some muscle areas just seem more prone to problems than others. This workshop explores selected muscular locations and offers suitable soft tissue approaches to help with overload and injury. The culprits include: upper trapezius, levator scapula, rhomboids, pectoralis major, pectoralis minor, splenius capitis, and others. Not only will we be working on these troublesome muscles, but we’ll also take a bit of time to accurately locate them first, using bony landmarks and other key anatomical structures. Join us for a fun class that targets finding key muscles accurately and working with them effectively. set of sheets, face cradle cover large towel, bolster, pen/pencil.